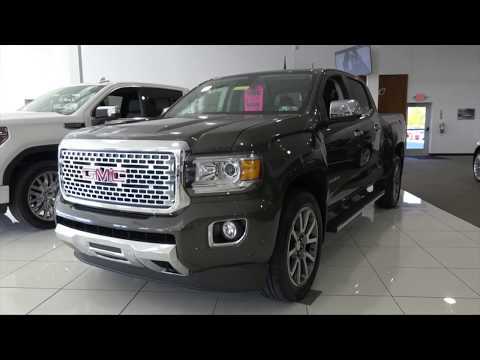 NEW 2019 GMC CANYON DENALI at Gary Lang Chevrolet Buick GMC (NEW) #190423 – all Canyon adds the latest infotainment software, taking into consideration contemporary menu designs and augmented functionality. The SLE and pricier trim levels ensue a second microphone for enhanced voice controls. Likewise, these versions receive a six-way power-adjustable driver’s seat. The SLE wears newly intended 17-inch wheels. Exterior paint colors now intensify Dark Sky, Smokey Quartz, Blue Emerald, and Sedona. 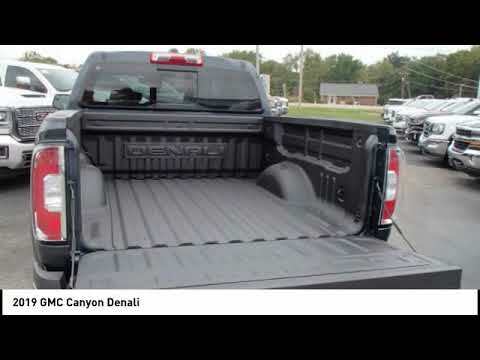 Most models furthermore have a higher-resolution backup camera. Wireless charging and a irate steering wheel are now approachable on more models, and rear parking sensors are easy to use for the first time.